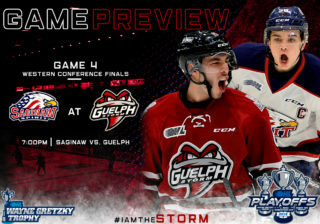 Friday night at the Sleeman Centre, the Storm hosts the Kingston Frontenacs at 7:30 with two critical points on the line. 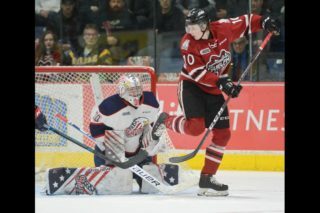 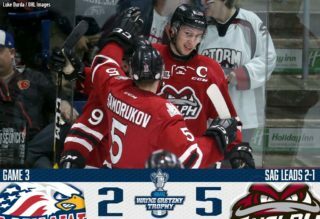 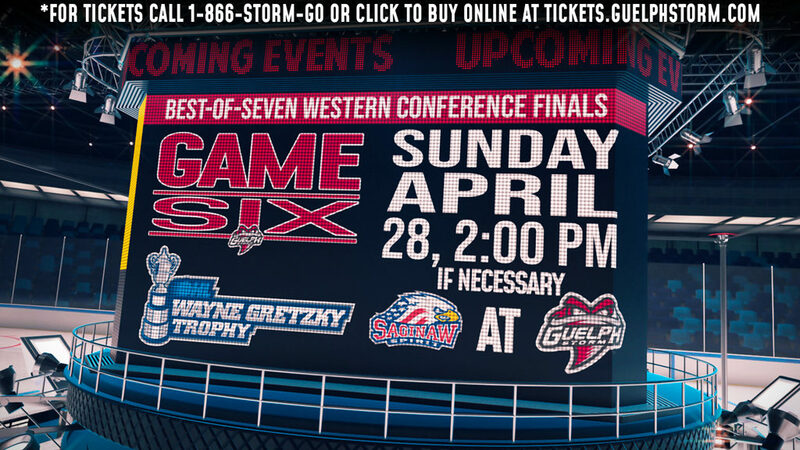 “March” to the OHL Playoffs… the Storm is currently tied with the Soo Greyhounds for eighth spot while the seventh place Windsor Spitfires and the Saginaw Spirit who currently hold down the sixth seed are both within striking distance. 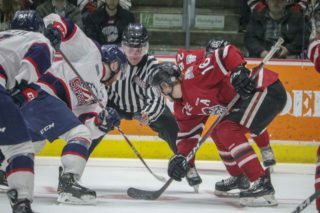 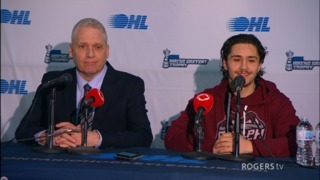 The Greyhounds host the Peterborough Petes this evening, while Saginaw travels to Erie and the Spitfires enjoy a night off after their 5-2 home win over Brampton on Thursday.